From day one, little Sam has defied the odds. 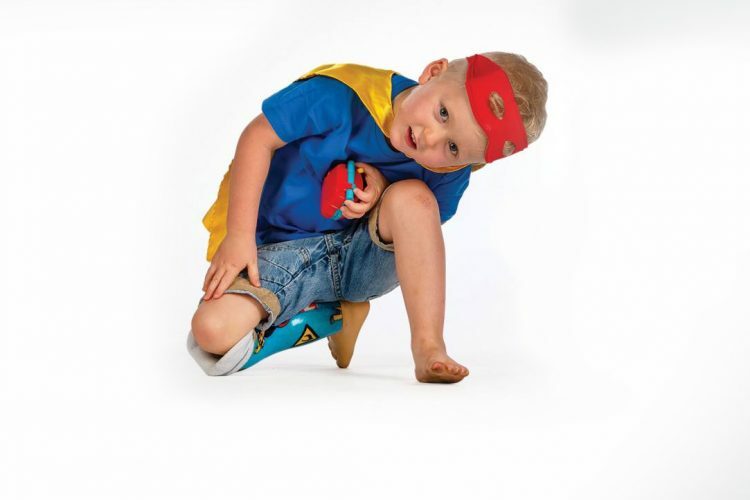 In utero, doctors detected that Sam’s vital organs were outside his body. 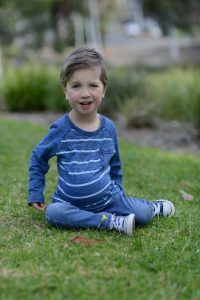 Sam was affected by a condition called omphalocele, a weakness in his abdomen where the umbilical cord joined it, meaning his liver, spleen and part of his bowels were protruding outside the abdominal cavity within a thin membrane sac. Suspecting that this was caused by a serious genetic disorder, doctors advised mum Amy and dad Mark to terminate the pregnancy. “That was a scary time because we knew we were dealing with something really serious, but terminating the pregnancy was never an option for us,” said Amy. 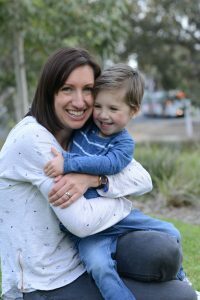 An amniocentesis at 20 weeks was “the hardest part of the pregnancy”, as Amy and Mark waited for confirmation of their baby’s condition. 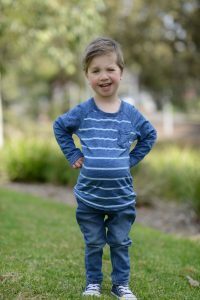 Though a genetic disorder was ruled out, this good news was overshadowed by further updates from doctors. 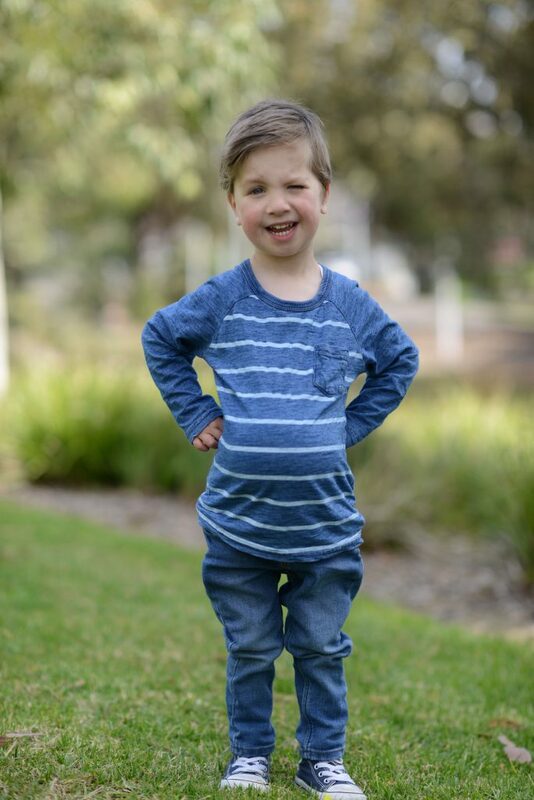 Brought to the RCH shortly after birth, Sam spent the first four months of his life in the Newborn Intensive Care Unit (NICU). The pressure his omphalocele or ‘bump’, as the Gellie’s affectionately call it, put on his diaphragm hampered his breathing. 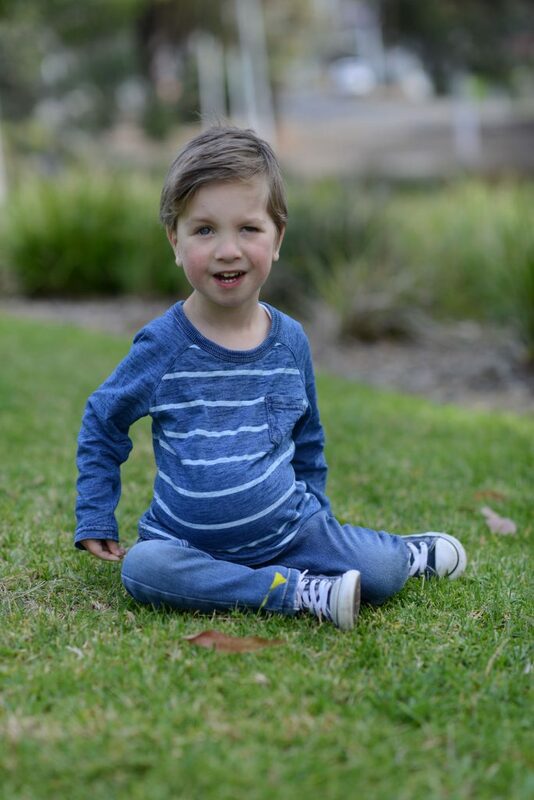 Sam also had pulmonary hypoplasia, in which his lungs weren’t completely developed because his chest wall was narrow. Sam was put on a Continuous Positive Airway Pressure ventilator, which applies continuous mild air pressure to keep his airway open. His bump was also at high risk of infection, and was monitored closely by doctors and dressed weekly until skin formed over it. Amy and Mark stayed by Sam’s cot day and night. 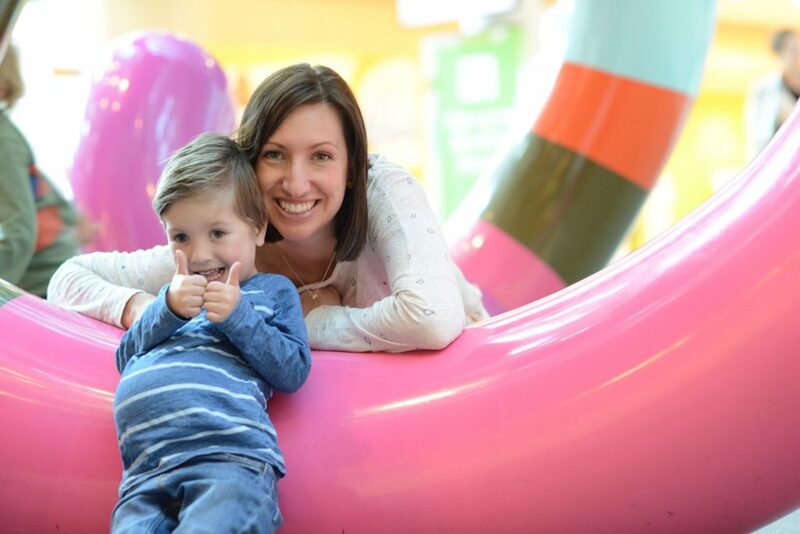 Eventually, Sam will undergo a series of operations with a team of surgeons including Mr Michael Nightingale. 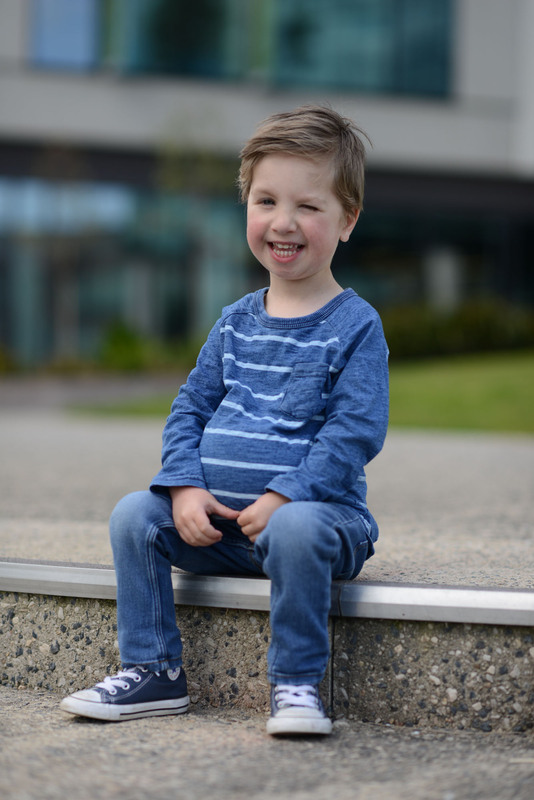 Though Sam’s surgeons are waiting until he’s older before they begin operating, his treatment plan comprises three stages. The first will increase the size of his abdominal cavity so his organs can fit. The second will see surgeons return them to their rightful place. The third will reconstruct Sam’s abdominal wall. Until he’s old enough for surgery, Sam’s enjoying making everyone laugh and just being a kid.